While new species are most commonly described based on recent field collections, undertaken at poorly explored places, some are identified in museum collections, where they have spent decades before being recognised as new to science. 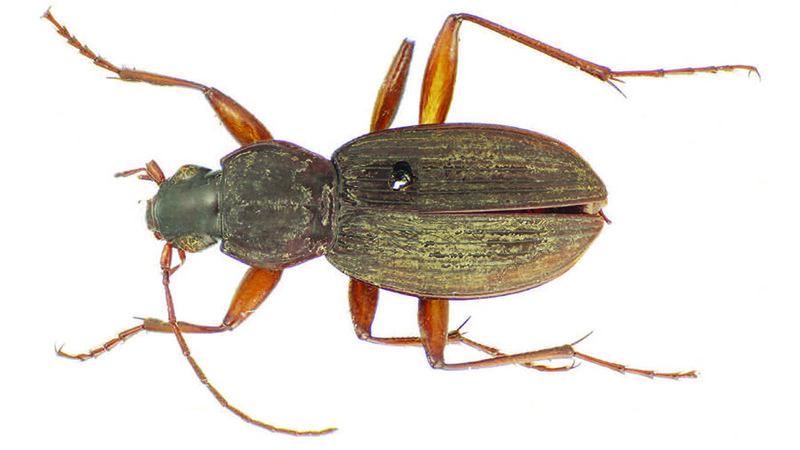 Such is the case of an unusually large and likely extinct ground beetle found at the Muséum national d’Histoire naturelle, Paris, whose story began in the distant 1860s with Dr. Eduard Graeffe’s trip to Samoa. Now, a century and a half later, the beetle is finally described by Dr. James K. Liebherr, Cornell University, USA, in the open access journal Zoosystematics and Evolution. Much like the rest of the species within the genus, the beetle now going under the name Bryanites graeffi showed vestigial flight wings and other traits associated with flight-wing loss. However, at length of 16.2 mm it is the largest for the taxonomic group it is now assigned to. Although this may seem way too obvious for taxonomists to overlook, the beetle’s relatives are just as obscure. The Bryanites genus was previously known from two species represented by two specimens only, collected in 1924 from Savai?i Island by Edwin H. Bryan, Jr., Bernice P. Bishop Museum in Honolulu, during the Bishop Museum’s Whitney South Seas Expedition. As a result, we now have three species representing an evolutionary radiation in Samoa, all known from single specimens collected long ago. The phylogenetics of these three species link them to other groups from Fiji and New Zealand. What is the advantage of knowledge about species that existed some 90-150 years ago, but no longer? It might actually point us to the actual level of impact mankind has on natural ecosystems. The cause of the likely extermination of Bryanites graeffi might never be known with certainty, however, the colonization of many Pacific islands by the Polynesian rat has always been followed by the diminution or elimination of native insect species. Thus, we can add another likely victim to the list of species that have been adversely impacted by mankind’s commensal voyagers. The species bears the name of its original collector to pay tribute to Dr. Graeffe and his hard work while collecting insects in the rain forest of Samoa well over a century ago .